I was really excited for this post. 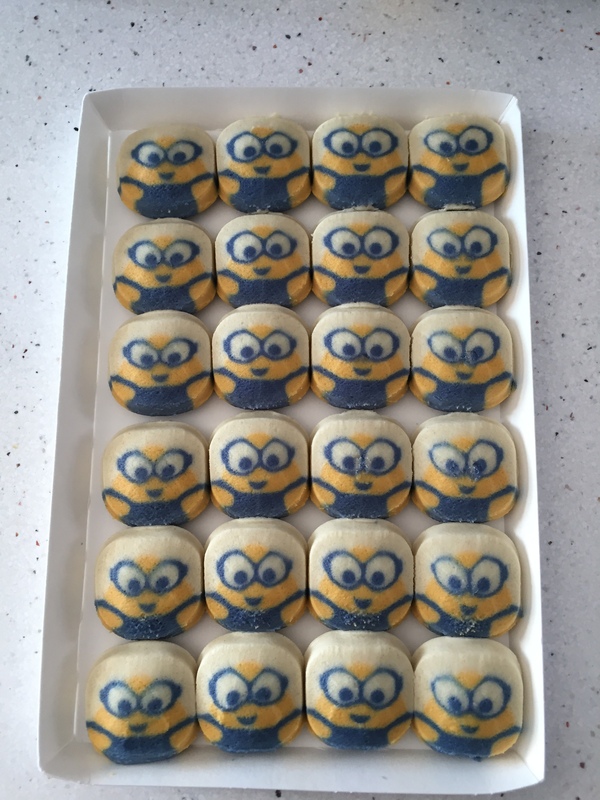 Who doesn’t love the Minions? They have been around for a while but I still find them pretty funny. Pillsbury has a brand of ready to bake cookies that they have on special holidays, Christmas, Easter, Halloween, etc. It is the first time I see them make cookies based on a movie. I made a batch for me and one for my friend who loves them too. The only merit I have in this post is baking them the right amount of time. I have mastered the art of baking these type of cookies. You have to take them out as soon as you see a little bit of brown and the bottom of your cookies even if then look uncooked. When you let them cool, they will harden a little bit and stay soft inside. 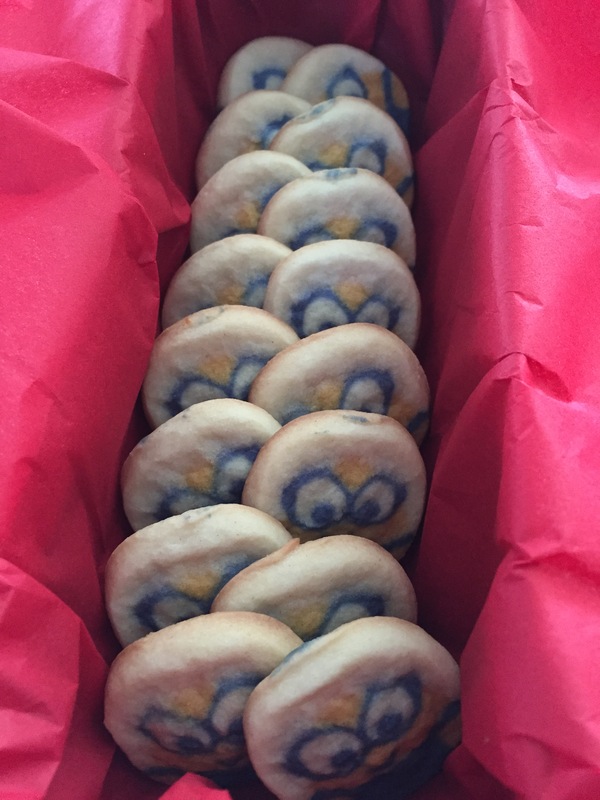 Have you tried these ready to bake Pillsbury cookies? Let me know your thoughts in the comments below. I made them today and the bottoms got too dark at 10 minutes even though the directions said to bake 10 to 12 minutes. However, it was very easy to scrape the burnt brown off each with a serrated knife. I hope you like them! I always bake those cookies two minutes less and then check if they need more cooking. Did you try using Parchemin paper?